Mr. Fujimori was serving a 25-year jail term for serious human rights violations, including extrajudicial killings, enforced disappearances and kidnapping. His conviction had been hailed as a major achievement in the fight against impunity. The announcement of his pardon by current President Pedro Pablo Kuczynski, on December 24, has sparked protests in the capital, Lima, and elsewhere in the country. Also in the release, the experts said that the Government should not give in to political pressure and must honour its domestic and international obligations. “Mr. Fujimori must be treated like any other person convicted of serious human rights crimes. His treatment should be compatible with his state of health and in accordance with the established standards and procedures,” added the experts. 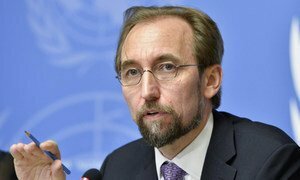 While Peru has made great strides over the past decade in reducing poverty, it needs to stand up firmly for human rights to ensure an economy that is sustainable and benefits all, according to the United Nations human rights chief.